I agree, but that ship kind of sailed when they printed The Ur-Dragon last year, so I'll take "Enigmatic thing, identified as living, that may or may not actually be the Blind Eternities" when our last known information was "Dragon so big it uses other dragons as scale birds"
I thought the story said they weren't from Tarkir? They're "born" on Tarkir, but they have to get back to Dominaria for the storyline to make sense. That means a planeswalker or something has to get them there since the ones who did aren't all planeswalkers. If they can do it by themselves than Bolas doesn't need to be a planeswalker. I doubt he'd do it out of good will. So as they pointed out already, you missed the "not" but I'd like to point out even if the not wasnt there, one of the defining features of elder dragons was that they could punch holes into planes and essentially planeswalk. They were that powerful. Yeah, I missed that line. I didn't remember that about Elder Dragons, but that doesn't sound like a trait creative is going to want to keep... especially with the redundancy with Bolas and Ugin being planeswalkers. To be honest, I found this one hard to read. It didn't really grab my interest. For a first person perspective, I didn't find the descriptions of the world to be illuminating enough on how she saw and interacted with the world. Instead it was just flat description to me. It got better about that near the end, though. So Nicol Bolas, the main villain of the story now, one of the longest-lived characters in Magic's canon, a terrifying monster that strikes fear into all who dare oppose him, his first word was "Ouch." Axelle Blitzer on MTGSalvation. I mostly lurk and maintain an awareness of Expanded Multiverse things. Wasn't the one who said ouch Ugin? I'm pretty sure that Nicol Bolas first words were "I'm stuck"
On a side note, I'm happy creative remembered to identify Chromium as Chromium Rhuell. Also appreciated was that Vaevictis Asmadi (or Vaevictus Asmodi depending on if you go card or comic) didn't appear in the same spawning -- he was the "cousin" of the other four famous survivors, who were all "siblings" so with them dropping essentially ex nihilo, it makes sense he would be from the next batch over, probably along with Piru. 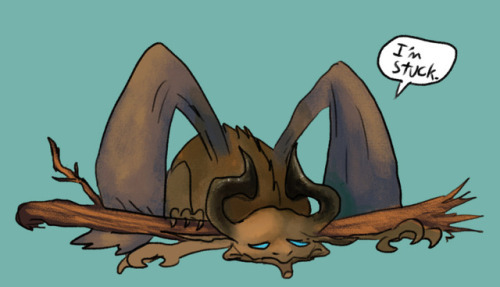 Overall, isn't it cute that Nicol "I create entire species to entertain myself genociding them" Bolas started off as someone who cared about his sister's death but Ugin steered him away from that? Having had half a day to reflect on this story after my initial reading, I can say that I dislike pretty much everything about it. I was going to put my professional Lit analysis hat on and go through it to explain why I consider it poorly written and bad for the storyline, but I'm not going to. I've been unhappy literally all day because of this story, and it made me realize a few things about myself. I've been very negative around here for a while now, and it's because I've invested a lot of myself into Magic's story over the years, and I am personally unhappy with the way that story has been told and the things Creative has been doing. And I'm done with it. Maybe I've just grown too cynical to enjoy a story written to the 13 year old demographic. Maybe I'm sick of a once-fascinating world being, to my perspective, spoiled by corporate focus group think. Maybe my tastes simply lie elsewhere. I don't know, and I don't really care. I realized today that I haven't enjoyed a canon Magic story in years. Literally in years. I was not enamored with Ixalan the way many of you were; I still can't stand Jace. Knowing what they're doing with Ugin, Tarkir, and the Elder Dragons, knowing that they are going back to Ravnica...I just can't keep doing this. I don't enjoy it anymore, and it's not worth being upset about. I've said this before, and I'll say it again: to those of you who enjoy the stuff Wizards is putting out there, I am genuinely, unironically, non-sarcastically happy for you. I'm really happy that you are able to derive pleasure and enjoyment from something that I once was able to as well. But I can't anymore. I need to go. I makes me sad to leave. I've been around this community for a long time. I was the very first person to post anything on the AF&S boards on NGA, and it's meant a lot to me. But I don't think you'll be seeing me around AF&S anymore. I'll still be around NGA, just not around here. I know I stopped posting here for a good while because I seriously didn't enjoy what was being put out in the story but I enjoy talking with a lot of yall so here I am. Honestly, while I've mostly made positive comments, I don't actually think this week's story was terribly well written, and I 100% understand being sour about it. Hope to still see you down in the MEM! Ugin and Nicol Bolas being twins is SUCH A GOOD IDEA! And then they screw up their relationship from DAY ONE!! I also love a little bit (and this is borrowed from elsewhere) that there was a lot of speculation after Rowen & Will Kenrith as to how often both twins would have a spark, and the subtle answer here might be that actually they always both have sparks. The implication to that is that at done point, they must share the same soul, which is... an uncomfortable assertion to draw. Otherwise the odds are kinda staggering. If I had to guess, I'd say that little bits of the Blind Eternities often randomly end up in and linger in wombs for a short period of time, during which any children conceived/birthed in that womb during that time have their souls imprinted with a spark. That would also handily resolve the "Children of Planeswalkers" question, though I believe it would be against older lore. Has the twin thing honestly never been addressed for the like thirty years Magic has existed? Planeswalker sparks are strongly suggested to be tied to the birth process. Its for example why the concept of a "birth" is so important and why things like angels and demons are not planeswalkers while a flame-kin planeswalker is within the bounds of possibility. It would easily explain why twins are drastically more likely to be both planeswalkers since they're both part of the same spark-granting event. At this point I feel like there's no point in asking that kind of question Helio because WotC has shown that nothing from pre-Origins matters and anything after is up for interpretation to the disappointment of all. The more I think on it, the more I realize they don't want to reward people for being invested in their story. Digges went on a big rant about how he hates the word "retcon" and I realize, they just don't want people to be invested. You avoid retcons (or retellings, or shaking up the facts, or whatever you want to call them) because the people who have invested their time and memory into knowing the proceedings of your game's story will realize that you don't care, and so they will stop caring. And I am quickly getting to that point, which really makes me sad. The story of this game actually kept me from quitting on more than one occasion (I was reading through the older stories I had never gotten when I didn't have the availability to play) but without the story the game seems much more hollow. It's why I keep trying to give the Creative team the benefit of the doubt and cheer them loudly when I like something, like the Ixalan story or the incredible art and worldbuilding design that they do, and 95% of all of the Dominaria Creative work (boy do I love that map). But... meh.